Used Vs. New Motorcycles - What is The Best Choice? Used Vs. New Motorcycles – What is The Best Choice? Is it time to purchase a motorcycle? You are going to have many decisions to make and one of the important choices involves new vs. old. Which one do you want to go with? Do you like the flashy motorcycle that’s just come out or do you want to find that hidden gem? Here are the pros and cons of each option. The budget is going to be a solid starting point and is perhaps the first thing a person should look into. You do not want to go into a situation where the budget is too low and you are looking at a new bike. Most new motorcycles are going to be highly priced and that’s going to be the highest they’ll ever be. As soon as you ride out of the lot, you have decreased its value. This is a given with assets such as these but you have to be willing to accept depreciation. For those who have a smaller budget, you can get more of a deal with used motorcycles because sellers want to offload some of their inventory. With private sellers, they may not know what a good deal is, so a person with knowledge can get the deal of a lifetime! New motorcycles are going to have it all. They are designed to impress you and are equipped with some of the world’s latest features. With reputable brands, you are going to get solutions that have world-class features never seen before. Used motorcycles are older and are going to have aging features depending on how far back you go. If features don’t matter then used motorcycles can often give you a better bang for your buck. However, a new motorcycle is always the pinnacle of features. Maintenance is always an issue whether it is a car, motorcycle, or a truck. You want something that is going to keep the repair bills away, which is why so many people adore newer models. They like the idea of getting something straight from the factory that has never been used before. It allows you to take care of it from day one with a dealer warranty in place. Used motorcycles aren’t going to come with this benefit because the parts have gone through a bit of wear and tear. In some cases, the wear and tear are aggressive while others might not be as bad. This is why it’s important to do a proper inspection if used motorcycles are on your mind. This is one of the most underrated aspects of deciding between these options. How are you going to be using the motorcycle? Are you going to be using it all the time? Do you like the switch motorcycles every year or so? In such cases, it might be best to look into an older motorcycle that won’t depreciate straight into the ground. For those who drive occasionally and simply want to enjoy the moment, it might be nicer to go with a newer model. This is all based on how you are going to use the motorcycle and it’s a personal decision at the end of the day. Yes, ride quality is going to be one of the main factors between these two options. New motorcycles have a well-designed suspension system that is at 100%. This means everything is going to work the way it is supposed to when the motorcycle was designed. It is going to feel smooth, consistent, and the way it is expected to be. 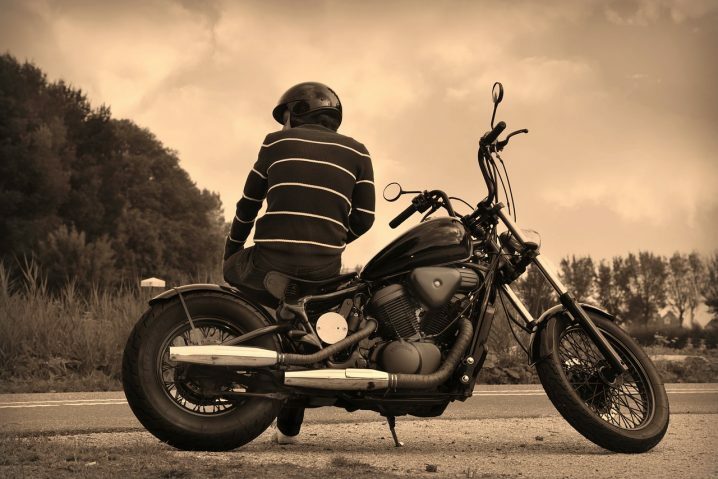 With used motorcycles, you are going to notice stutters and bumps simply because the parts have aged. Even if the motorcycle was good in the past, its parts may have worn down now. Newer motorcycles are always going to have better fuel efficiency because the system is in peak condition. This means it is ready to work the way it is designed to by the manufacturer. Plus, modern brands are paying far more attention to fuel efficiency than they may have in the past. This is why used motorcycles tend to give issues with fuel efficiency metrics but it always depends on the age of the motorcycle and how it has been used. It’s important to look into a seller’s reliability such as Next Ride In Tampa. With a brand-new motorcycle, you are cutting straight to the chase and going with something that has come from the factory. This means, you are less likely to deal with issues and the dealer is going to back it up with a warranty. This means if things were to go wrong with a brand-new motorcycle, you can bring it in for immediate repairs. This is ideal for those who want peace of mind and don’t like the idea of dealing with mechanics. With a used motorcycle, this is one of those situations where finding a good deal will involve shady sellers. You may end up going to someone that is a private seller looking to get rid of their personal motorcycle. The situations can vary and it’s all about making sure you end up with a good deal. Otherwise, it is definitely possible to get ripped off with a used motorcycle and end up with a real dud. Think about this as you look into the two options and put together a plan before buying. In the end, you have to do what’s best for your situation. For example, a person that is going to be going in with a large budget wants the best features, and doesn’t like going to the mechanic should think about a new motorcycle. While someone that wants to save as much money as possible, likes bargaining and knows how to fix motorcycles might enjoy a used solution. It’s going to vary from person to person and that’s alright. There’s no wrong answer because there are so many sets of variables. Look for what’s best in your specific situation!